People back up music from iPhone for many reasons. For some, they prefer to listening iPhone music on computer, thus they transfer music from iPhone to computer. For some, they would like to manage vast sea of music files on iTunes, which they think provides an easier way for music management. 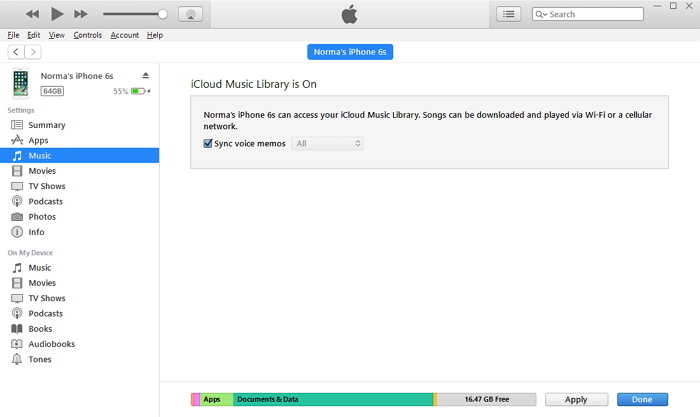 Regardless whatever reason it might be, iPhone music backup requires step-by-step action. 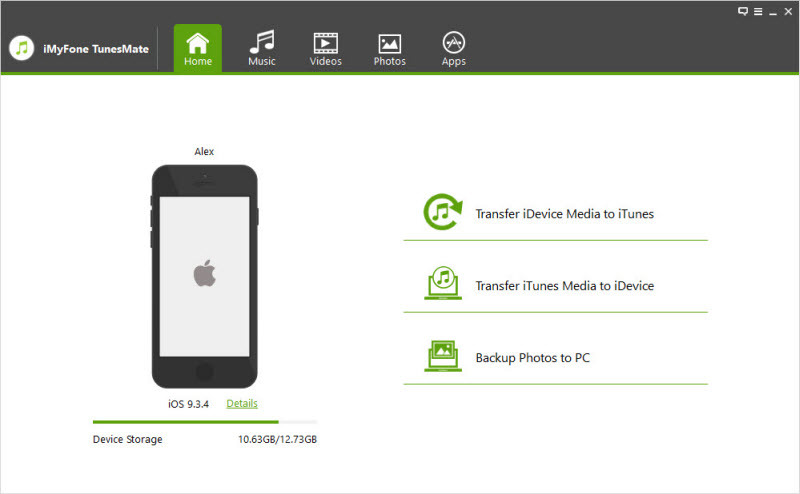 Here in this post, two solutions for Apple music backup are provided. iTunes allows you to transfer contents from iOS device to iTunes, or from iTunes to iOS device. Since iTunes is the first and official iOS transfer tool, it’s referred to as the traditional way to backup all iOS data including music. iTunes supports each iPhone model such as iPhone 8/X/7/6s/6/5s/5/SE/4s. Step 1Launch iTunes on your PC/Mac. Please, ensure you are using the latest version of iTunes. If you are not using the latest version, update your iTunes. Step 2Connect your iPhone to your computer using a USB cable. Step 3Click your iPhone device icon that has appeared in the upper-left corner of the iTunes window. Step 4Click the content types you would like to sync (i.e. 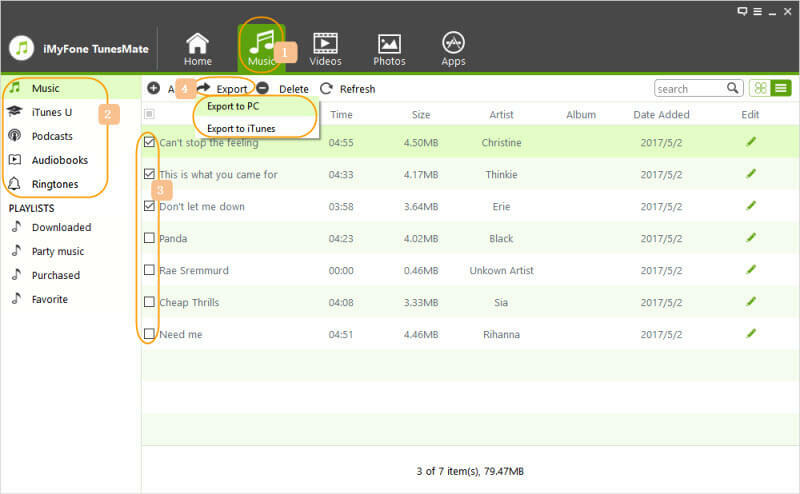 in this case you are backing up music), then tick the box next to Sync to turn on syncing for music. Step 5Click "Apply" button in the lower right corner of the iTunes window to save your sync settings. Syncing will start automatically and immediately when you complete these steps. You might find iPhone music backup to iTunes with this method is convenient, but when you encounter iTunes error, you will have to look for another way. iTunes error will likely make your music library in great risk. Sometimes, your music files will be overwritten. Worse still, there will be data loss when backing up iPhone music with iTunes. iTunes imposes numerous restrictions on exporting and importing media files between iOS devices to iTunes: number of devices restriction, limited one-way transfer, etc. iTunes is characterized by numerous syncing errors which frustrate users when performing file transfer: data erasing possibility, data overwriting, etc. Thus, it seems that iTunes is not the best tool for transferring iOS data and files from iPhone to PC. Luckily, a better solution for iPhone music backup to iTunes is presented below. If iTunes is not the right transfer tool for you, then what is? The right answer is iMyFone TunesMate. The interesting feature of iMyFone TunesMate does not rest on media transfer, but the beauty is on the freedom to transfer any type of file selectively or in batch. iMyFone TunesMate is the smart way to avoid all iTunes errors and limitations and freely transfer any type of iOS files between iDevices and computer or between iDevices and iTunes. Free 2-way transfer between iOS device and iTunes or between iOS device and PC. 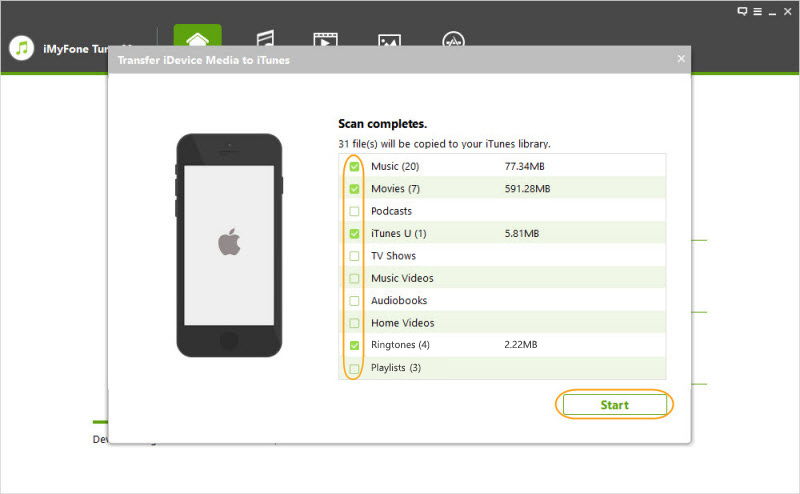 Selectively/Batch back up iOS files from iPhone, iPad or iPod touch to PC/iTunes, music files included. Backup music to iTunes while bypassing all annoying iTunes errors and limitations. 1-Click to rebulid iTunes music library from iPhone/iPad/iPod Touch. iMyFone software is full compatible with iOS 11 and has received lots of positive media reviews. 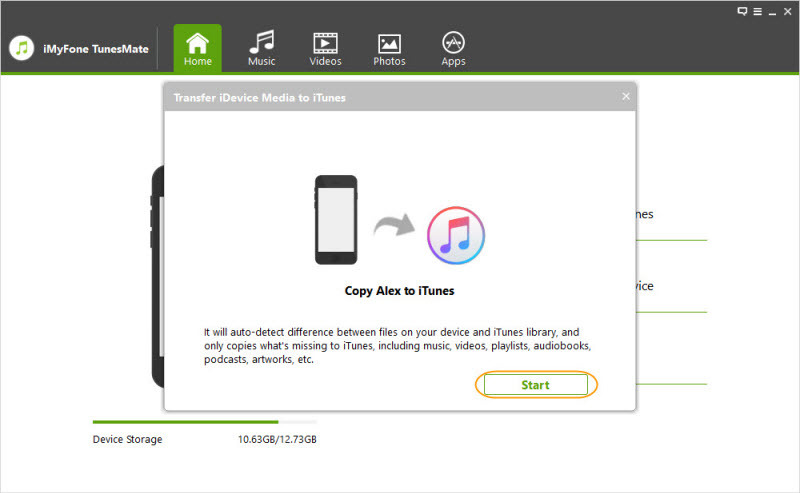 We shall be sharing two ways to use iMyFone TunesMate in transferring music from iPhone to iTunes/PC: 1-Click backup and Selective backup. Step 1Connect your iPhone to PC using the USB cable. Then launch iMyFone TunesMate. Step 2Click “Transfer iDevice Media to iTunes” from the home interface. Click “Start” button from the pop-up window. Step 3All your media files will be checked by default. You can unselect the ones you don’t want to backup before clicking “Start”. When all your media files have been backed up, click “Complete” to exit the page. Step 3Browse and select a target folder to export your iPhone music. When the process is complete, it will show “Export Successful”. 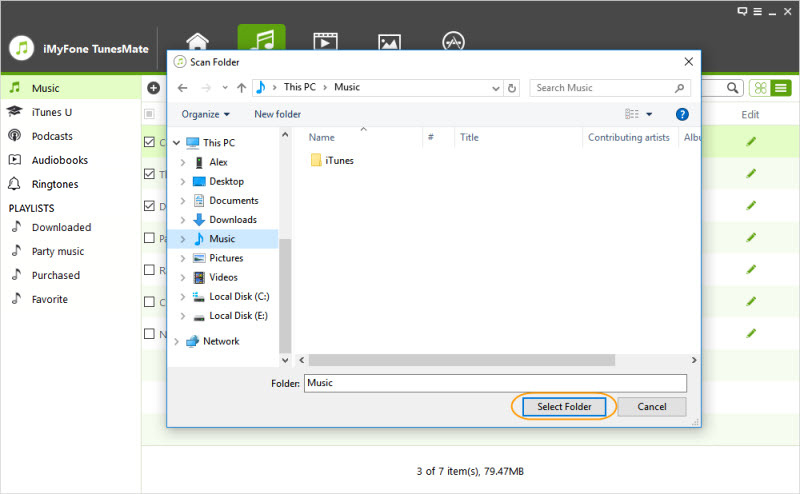 Click “Open Folder” to view your songs on your computer.